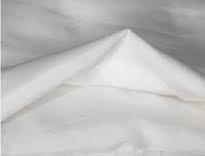 Being a client-centric organization, we ROCK IMPEX are engaged in offering a wide ranges of 100% Cotton Voile Fabrics in Grey,Bleached and Dyed. Using 100%cotton superior-grade cloth material and threads that are sourced from accredited vendors of the industry. Besides, our offered range is developed in accordance with the industry set guidelines with the aid of sophisticated machinery and technology.The specification of these products can also be modified according to the customer's requirements and demands. ROCK IMPEX an Eminent, Trusted and a dynamic Registered Merchant Exporter approved by the government of India.We are happy in working meticulously and stringently on a plan of action and providing a clear, time honored and a transparent account to our buyers and satisfying them thoroughly on their queries.Our business footprint and loyal customers across the world are our testimonials for consistently delivering the finest products year after year. Hence, we take great pride to provide. Presently we are dealing with various products categorized as GRAINS&PULSES,SPICES,GARMENTS,COIR PRODUCTS,HOME FURNISHING TEXTILES,KNITTED FABRIC &BLANKET,KNITTED HAND GLOVES and SURGICAL BANDAGES etc.As a supplier to the world markets,Rock Impex committed stringent quality standards apply at all times. We are focused on a variety of quality commodities from time to time at reasonable prices, so as to add value to our product line and simultaneously cater the needs of our end users.